If Obama Had a Son... 17 Year-Old Arrested for Trying to Shoot 4 Cops, Says "F-You, Police!" Seventeen year-old Marquell Rentas was arrested on Friday for trying to shoot and kill four police officers in Columbia, Pennsylvania. Rentas was reportedly screaming, “F-them” as he fired on the police officers. A 17-year-old boy has been charged with attempting to shoot and kill four police officers in Columbia, Lancaster County early Friday morning. 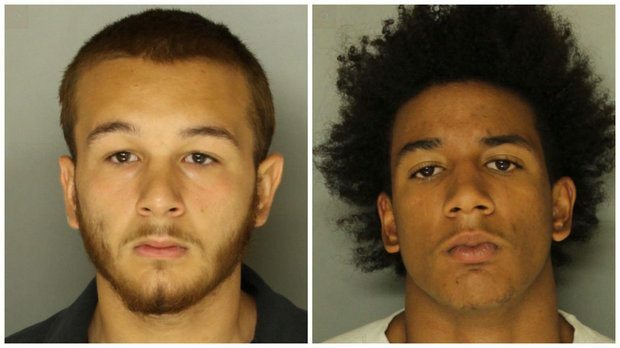 After he was found and taken into custody, Marquell Rentas, 17, of Walnut Street in Columbia, told police “I was shooting at you, F-you, police,” Lancaster County District Attorney Craig Stedman said during a news conference on Saturday morning. A second man, Trenton Nace, 18, of Lancaster Avenue in Columbia, has been charged with helping Rentas carry out the shootings. Stedman said Nace was handing bullets to Rentas and picking up the spent shell casings.